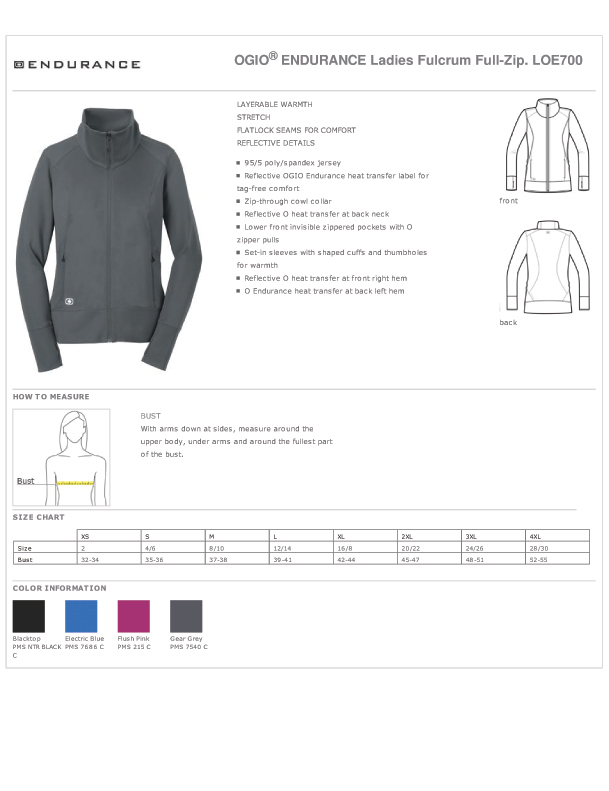 If you prefer to not be wearing what everyone else has on, while browsing for women's lightweight jackets, then you may have found the style you have been searching for. Ideal Spring and Fall casual outerwear is a mouse click away. Prepare to be pleasantly surprised when you notice several wonderful design extras. This full-zip jacket stretches. Besides keeping you warm, the fabric provides greater mobility and comfort for everything you do. The flatlock seams blend into the access point for your front pockets, pockets that are practically invisible. The cowl collar zips all of the way through whenever needed. There are thumbholes for another fashion extra, one with a practical application of helping keep you warm. Shop four colors and sizes ranging from extra-small to plus 4xl. Bulk Pricing.